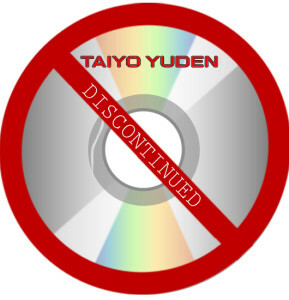 Tokyo, June 11, 2015 — TAIYO YUDEN CO., LTD. (“the Company”) announces that it will discontinue the recording disc media business by the end of 2015. History, details we have uncovered, and a few rumors regarding the future. Taiyo Yuden (JVC) has been the market leader for optical recording media driven by leading edge products such as CD-R, DVD-R, BD-R etc. and critical market solutions since the development of the CD-R disc in 1988. Taiyo Yuden (TY / JVC) has promoted optical recording media as one of its core businesses ever since. Despite increasingly fierce competition from less expensive overseas manufacturers in China, India and Taiwan, JVC has continued to provide the market with highest quality disc products and has received high acclaim from countless users for offering reliable Japanese made optical recording media. Indeed TY was the last manufacturer to produce discs in a highly developed country (United States, Japan, UK, Germany, etc) where labor rates and overhead are much higher than on mainland Asia and the India subcontinent. TY follows in the footsteps of Mitsui, Kodak, TDK and many others that had manufactured in the US and Japan, but existed in the early to mid 2000s. Rumors are that the Taiyo Yuden and JVC brands will exist beyond 2015 with the manufacturing lines, manufacturing techniques and industry “know how” moving to China or Taiwan in some sort of partnership or asset sale. Only time will tell. What we do know is that the Taiyo Yuden CD-r and DVD-r media will be available in the market place well into 2016. Probably the entire year as large discs distributors have already placed huge orders for product to be manufactured in November/December and delivered here in the US in Jan/Feb 2016. Most likely lasting until the end of 2016. Let us know if you have any questions or contacts. Techware Disc Duplication is committed to supplying our customers with high quality CD, DVD and Blu-ray discs that can be counted on for excellent playback and burning compatibility for years to come.